Due to dependency on .Net Framework 4.7.1, this needs to be exempted from installation testing. unlimited undo, special effects, and a wide variety of useful and powerful tools. An active and growing online community provides friendly help, tutorials, and plugins. Copyright (C) dotPDN LLC, Rick Brewster, and contributors. All Rights Reserved. You may not modify, adapt, rent, lease, loan, sell, or create derivative works based upon the Software or any part thereof. 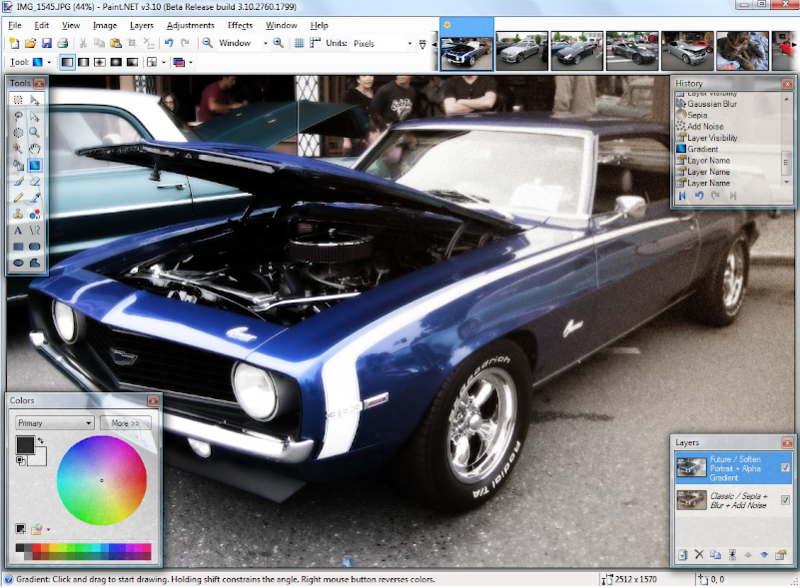 However, certain icons used in the paint.net user interface are from or adapted from those in the "Crystal" icon set, http://www.everaldo.com/crystal/, or the "Oxygen" icon set, http://www.oxygen-icons.org/. These icons are covered by the LGPL license, http://www.gnu.org/copyleft/lesser.html. These icons are stored as "loose" PNG image files in the Resources\en-US\ directory where paint.net is installed. Write-Host "$packageName registered as paint"
This discussion is only about Paint.NET and the Paint.NET package. If you have feedback for Chocolatey, please contact the google group. Tell us what you love about the package or Paint.NET, or tell us what needs improvement. Deployed from e27d7a207f. You are on web.1. UTC time is currently 25 Apr 2019 11:21:47 +00:00.